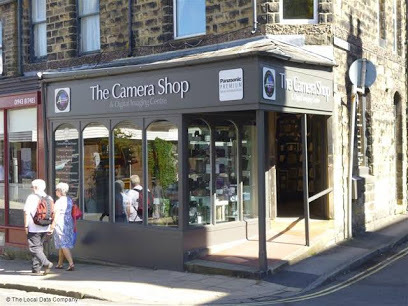 Since 1960, Annings The Camera Shop in Ilkley has been supplying the people of Wharfedale with high quality camera equipment matched by exemplary customer service. Today, Annings is specialising in Panasonic Lumix cameras and offers a superb range of imaging services. With over 50 years in the trade we can offer advice on most aspects of photography and printing. Please call by and visit our newly fitted out shop. Annings is a Panasonic Premium Imaging Authorised Dealer. Panasonic Lumix offer a wide choice of cameras ranging from entry level compact cameras suitable for complete beginners right through to pro end compact system cameras. We keep a wide range of models in stock and all models are available to order. Whether it's a super telephoto or an extreme wide angle, Panasonic have a lens for every occasion. We can also supply lenses from Sigma, Pentax and Tamron - contact us for latest stock availability and prices. Annings has a huge range of photographic accessories. Memory cards; batteries and chargers; cases, pouches, and bags; tripods, monopods, and Gorillapods; adaptors and straps; photo albums; photo frames, and digital photo frames; and if we don't have it in our extensive stock we can probably obtain it for you. We are proud to be one of the few suppliers in the country of the beautifully made Gillis of London camera bags. Stitched distressed leather or wax canvas, these are the ultimate designer camera bags. We can also supply compact camera cases and systems bags from Tamrac and Camlink. We are major stockists of Kenro high quality frames and albums. We also carry a range of designer Gisela Graham frames. We still sell and process traditional C41 film and can offer B&W film processing. We offer a wide range of binoculars/scopes from leading suppliers, Opticron, Hawke Optics and Minox. Annings has an interesting and ever-changing range of pre-owned photographic equipment. Please check our ebay sales. Back in 1980 Annings installed our first photo processing lab, one of the first in the country, and in 2002 we installed our first digital photo lab. Today we offer a full range of quality services for turning your digital and film images into quality prints of all sizes. We can handle most types of media, just bring it in, or email us (info@annings.com) your photo. Our digital print kiosk service puts you in full, instant print control! And of course we are always there to assist. For photos from phones simply download the free Kodak Moments app which allows you to link via wireless to our machines. We also offer a high quality scanning and photo restoration service to bring your old negative,photos or slides back to life. The guidelines for producing passport photographs are really quite stringent: take the worry out of having your passport photos prepared by letting Annings experienced staff take them. New digital format emailed directly to you. Our prices are pitched as keenly as possible, but please do allow for the fact that we hope to provide a high standard of service. All products are provided with standard manufacturer's warranties. The Waste Electrical and Electronic Equipment (WEEE) Directive is part of UK law. Annings is obliged under these regulations to offer our customers free take-back of their WEEE on a like-for-like basis when they buy a new electrical or electronic product from us.